Bullying has no place in the North Little Rock School District. That’s the mantra repeated by the newly-formed Superintendent’s Student Cabinet, a group of 28 students from each school in the North Little Rock School District. The students gathered at Central Office to talk about bullying, how to recognize it, and solutions to eliminate it on their respective campuses. “We want them to have control over this. We are just facilitating the initiative, but we want the students to have their say and have them propose recommendations on how we can make each school bully-free,” said Henry Anderson, Executive Director of Secondary Education and Data Analysis for the North Little Rock School District. The principals chose two students from their respective campus to serve on the Superintendent's Student Cabinet. The students will participate in a series of sessions over the course of several weeks to brainstorm and to develop meaningful and realistic solutions to combat bullying. The cabinet will have plans ready to launch an anti-bullying program in February, the month of love. 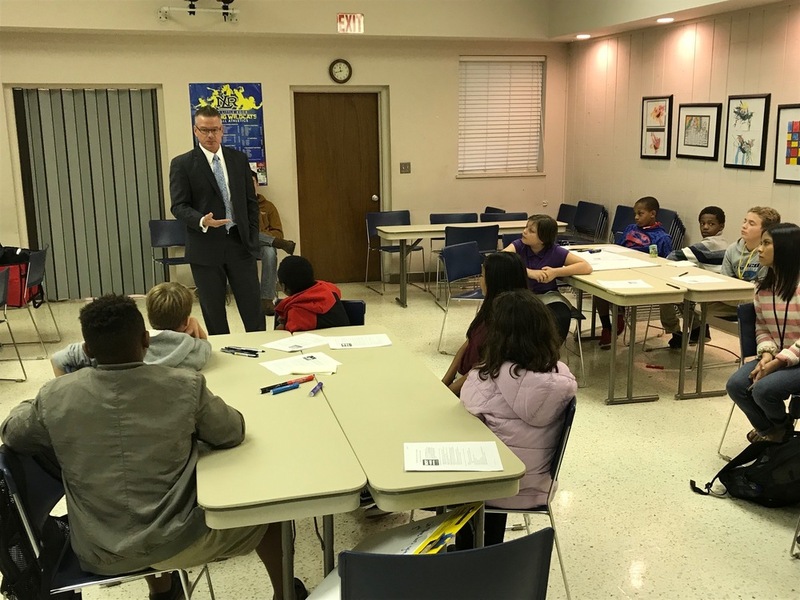 FOX16’s Kevin Kelly, who launched a market-wide “Step Up, Stop Bullying”campaign in 2013, met with the cabinet to discuss anti-bullying tactics that can be implemented into their plan. Kelly also included a report from his discussion with students during the October 30th newscast.